Once the keyboard enthusiast settles on their favorite keyboard, where is there to go from there? What is it that most of these collectors seek? If you’ve suffered this affliction, you’d know all too well that, deep down, we are trying to make it ours. What do I mean by this? Sure, I love the way the Pulse SA keycap set looks on my keyboard but what I enjoyed, above all else, is that my keyboard was different than most. It was MY keyboard. Customization. 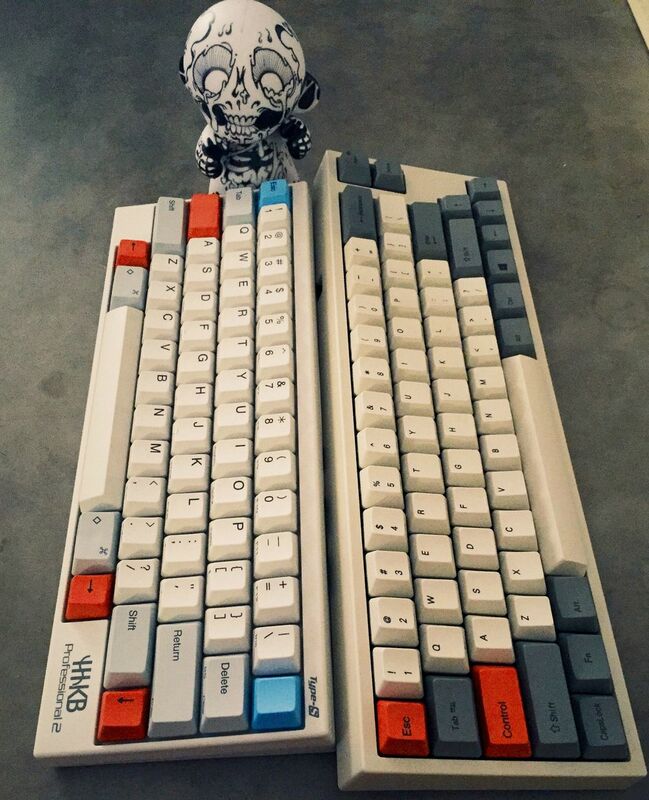 The blessing and curse of owning a mech. Many of us conduct a silent arms race within the community. “Check out my new Korean custom”, they post. We salivate as we type to the OP about how gorgeous that board is. Meanwhile, on the other window, we check prices and threads. The following month, we post our 55g HHKB’s. We toil over the lighting, dust off our tables and throw on that Pexon cable. We secretly hope that the OP from the previous post sees it. This metaphorical arms race we conduct. This — this is what drives us. I, too, suffered from the frailty of being human — I suffered from this envy. My departure from Cherry MX was a bittersweet one. I turned my back on the world of customization when I fell in love with Topre. Realforce Keycap sets priced higher than entry level keyboards. Meticulously doing the math on whether buying a keyboard to harvest stems was worthwhile. These were problems I now faced. Before the announcement of JTK stems and dremel-ing cases for Novatouch sliders, we looked to the artisans. But I was one of many. We sat at our desks spamming F5’s, entered raffles and scoured the underbelly of the after-market. What was that Einstein saying? “Insanity is doing something over and over again expecting different results”. We all participated in this insanity– hoping to win an arms race that was never meant to be won. I gave up. Lady luck was not on my side and I’d be damned to line the pockets of market speculators. I didn’t want to rely on the odds. Didn’t want to scour Japanese auctions. I wanted something of my own. If the goal was to make my keyboards truly “mine”, I had but one option to pursue. And so began my journey into the world of artisan keycap making.